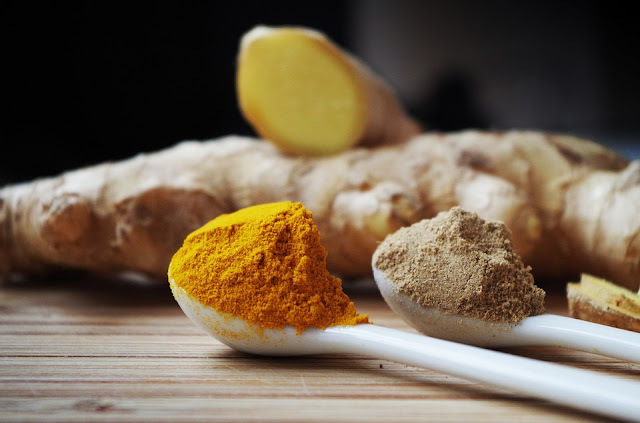 I read this great artlcle on a Chiro blog -http://www.chiro.org/wordpress/?p=12126 - it talked about curcumin and using it to help minimize disease-related changes and repair damage to the spinal cord. I actually just started working with this company that has a great product, Empower. I think it's so amazing the things that we are learning about natural health. Using curcumin (WAVMpower is what I used to use) and how this herbal extract changed so many lives. In fact it's because of how it changed biochemist and natural bodybuilder, Franco Cavaleri's that that JM Ocean Avenue was launched. You may not know that Franco was a natural bodybuilder, and years ago while getting ready for a professional level body building competition qualifier, Franco. started to feel ill.He had run out of the raw materials he used to extract the herbal supplements that he was creating and using, and found himself in the hospital with a diagnosis of Ulcerative Colitis, which is closely related to Chron’s Disease. Basically, his body was laying waste to his large intestine – causing massive inflammatory reactions. None of the traditional medical remedies were working to improve Cavaleri’s condition, and his doctors advised immediate removal of his large intestine.That was an aha moment for Franco. He shared his story with the doctor's about how he’d kept the symptoms of his ulcerative colitis in check. Cavaleri’s doctors were amazed that he’d been able to compete at the higher levels of body building – maintaining weight, muscle mass, and stamina - mainly because his body should have been succumbing to the colitis in a much more aggressive fashion. Ulcerative Colitis is a disease that develops over time. Ulcerative colitis is a form of inflammatory bowel disease (IBD). Ulcerative colitis is a form of colitis, a disease of the colon (large intestine), that includes characteristic ulcers, or open sores. The main symptom of active disease is usually constant diarrhea mixed with blood, of gradual onset. IBD is often confused with irritable bowel syndrome (IBS), a troublesome, but much less serious, condition.What Cavaleri realized at that point was that his work with Nutrigenomics and the supplements that he had created and were taking were giving his body the strength and ammunition required to keep his ulcerative colitis at bay. Essentially, Franco Cavaleri had been succeeding at fighting off his ulcerative colitis to a much more effective degree than any of the traditional medicine implemented in the hospital had been able to do. As Cavaleri wrestled with the possibility of life changing surgery, he decided to go back on his anti-inflammatory remedy His doctors agreed to monitor his progress, and within one week Cavaleri’s symptoms from ulcerative colitis subsided. Within three weeks he’d gained back the 50 lbs he’d lost while in the hospital and was feeling fine. Months later, he got back into weight training to prepare for his shot at a professional level body building competition. One year later, Franco Caveleri won the Mr. North America Body Building Competition – fulfilling a long time goal. Franco's real passion is good health – and on the organic side. Some of the ingredients in the products are even organic - and these products are helping so many people. One of my closest friends has been seeing amazing reduction of the swelling that is caused by her CVI. And in fact, Ryan, my upline cute little leader, and Fred Ninow's son has seen amazing changes using it as well. I will be excited to see how it will help my mom's aging hands, my husband's two bad knees, and my chronic inflammation due to allergies long term. And we know that inflammation is the disease culprit. When we moved into our dream house that took a huge toll on my body and created major inflammation. I don't think I could have survived without my turmeric. I took 4 capsules morning and night to help me get through the day and sleep. I have found though post Empower that the whole organic turmeric is the way to go. I love the Fijian product because it's all very easy to figure out as far as ingredients, and it says exactly what is in there... turmeric. I take just two capsules most days, but it is under $30 which is an amazing deal that you just can't pass up if you are wanting to try to boost that curcumin. It has five times the active curcumin as your average product, and that as well comes down to what nature can do when you use the proper soil and sustainable practices.